Property 2: Pointe Santo C42: Penthouse Paradise with Rooftop Deck & Gulf Views to Match! Your beach cottage awaits - and it is pet-friendly! Sleeps 2 - beautiful! Property 3: Your beach cottage awaits - and it is pet-friendly! Sleeps 2 - beautiful! 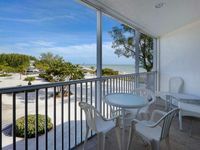 Property 8: Beautiful Sanibel Island Blind Pass Condo . Newly renovated. Gorgeous! Property 9: Beautiful Beachfront Views with Free Use of Bicycles and Free Wifi!! 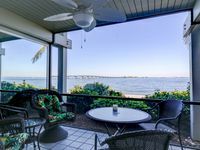 Property 10: Experience Old Sanibel in Style with this Lovely GULF FRONT condo including Free Wifi! Property 11: Kimball Lodge - 305 - At The Historic Island Inn!!! - Only 100 yards to the Beach! Property 14: Sanibel Island Studio w/Pools & Gulf Views! Property 16: Beachfront Complex - Beautifully Furnished Updated Poolside Unit - Be Our Guest! Relax among the tropical sights and sounds in this charming Duggars Tropical Cottage. Property 17: Relax among the tropical sights and sounds in this charming Duggars Tropical Cottage. Property 22: Mariner Pointe #1051: Incredible Bay Front Views, Great Location & Amenities! !! GORGEOUS Condo, FANTASTIC Gulf Front View & 19 Steps to the Beach! Property 34: !! GORGEOUS Condo, FANTASTIC Gulf Front View & 19 Steps to the Beach! Secluded Two Bedroom Cottage, Walking Distance to Sanibel Beaches - Tiki Cottage B! Property 35: Secluded Two Bedroom Cottage, Walking Distance to Sanibel Beaches - Tiki Cottage B! Property 36: Fresh, Bright, Clean and Relaxing! Property 39: 2 Bedroom Cottage Sanibel Island Two Blocks from Beach-Great!! Relax to the sounds of the waves from your very own beach bungalow. Property 40: Relax to the sounds of the waves from your very own beach bungalow. Property 41: Wonderful Island Inn Condo! Gulf View! 100 Yards to the Beach! Gorgeous/Completely Updated Beach Cottage Steps to the Beach!! Property 42: Gorgeous/Completely Updated Beach Cottage Steps to the Beach!! Best Reviews on Sanibel...June 29th AVAILABLE!!!! Property 43: Best Reviews on Sanibel...June 29th AVAILABLE!!!! Property 44: Blind Pass A202: Amazing West End Location Only Steps to Shelling & Sunsets!! Gorgeous Sanibel Direct Gulf-Front Top Floor, Corner Unit - Paradise! Property 45: Gorgeous Sanibel Direct Gulf-Front Top Floor, Corner Unit - Paradise! Sand Pointe - Panoramic Gulf View on Quiet Beach - Great Shelling! Property 48: Sand Pointe - Panoramic Gulf View on Quiet Beach - Great Shelling! Rating Details: The property manager was more than helpful. The vacation rental was very clean. I was more than happy with the location. I was satisfied with the condition of the vacation rental. Overall, I recommend this vacation rental. Reviewer Comments: This condo was nice. It was a good price for a peak time during spring break. I liked that is was not right on the beach, so a bit quieter. But the beach is just 6 min biking distance. The condo furnishings were a bit worn (ie. needs some repainting, some maintenance from wear and tear), but overall not in shambles. I liked the condo people around who own their own condos and seem very invested in the community. They were very friendly at the pool and the fishing dock!